Been in A Bus, Train or Other Public Transit System Accident? Accidents involving public or mass transit systems like buses, trains, or subways are well-known for causing serious injuries and, in some tragic cases, death. If you or someone you care for recently sustained an injury while on board public transportation, set up an initial consultation with an attorney who’s well-versed in transit accident law. In Orange County, CA, the lawyer to turn to is Glenn Johnson – Attorney at Law. Attorney Glenn Johnson is ready to tackle cases involving public transportation. 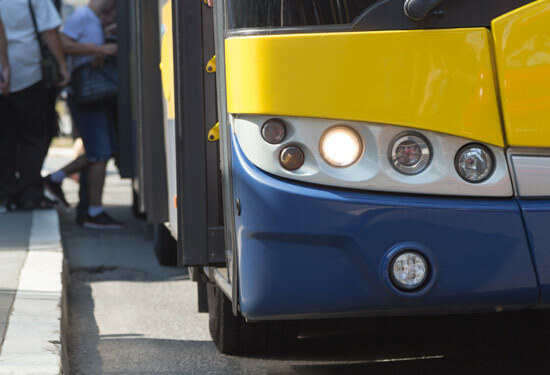 Whether you were injured due to the negligence of a bus driver or a train derailment, he can present you with the legal advice and solutions you need to take action against the parties involved. The injuries you’ve sustained in your mass transit accident may entitle you to compensation for your pain and suffering, medical bills, lost income, and trauma. Glenn Johnson – Attorney At Law can evaluate your case and help you hold negligent parties liable by working toward a settlement or, if necessary, filing an injury lawsuit on your behalf. While no amount of money can make up for the pain and anguish you’ve endured, damages can help you pay for your rehabilitation expenses and provide financial security as you recover from your transit injury. Glenn Johnson is dedicated to helping you get through this difficult time.